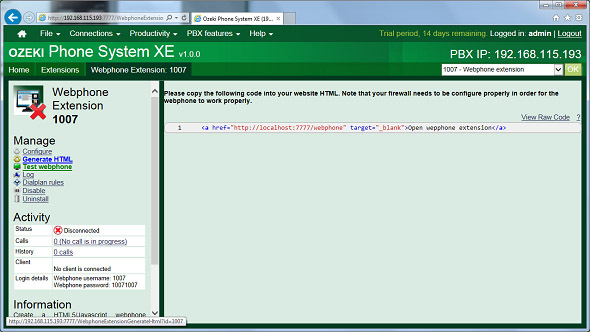 For initiating phone calls directly from a webbrowser, you need to install a new Webphone extension. With it, your employees can log into the company network through a website and make calls not only towards the phone numbers of the inner network but also to outside numbers. In the latter case, they will be able to make business calls from the budget of the company. The HTML user interface and the functionality can be customized according to your needs. 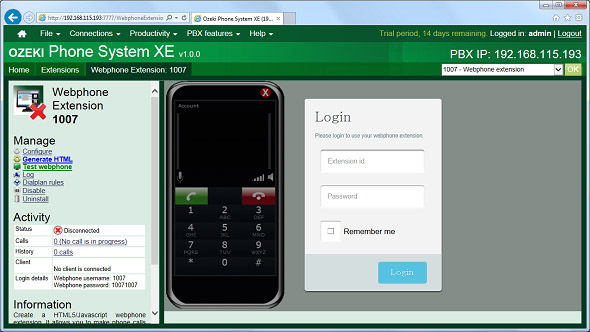 The following step-by-step guide explains what you need to do in order to setup and configure your Webphone extension in less than 10 minutes. 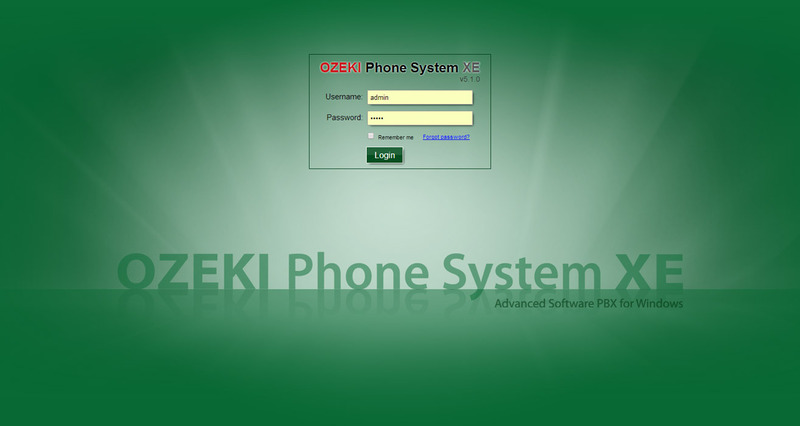 First of all, login to the Ozeki Phone System XE using your username and password (Figure 1). 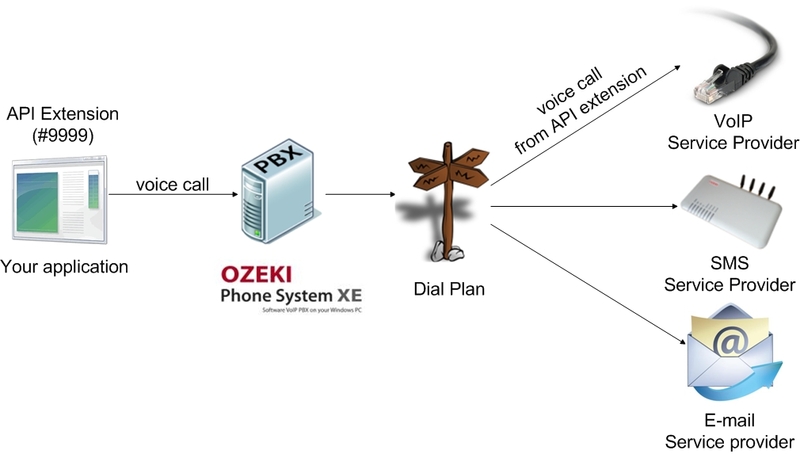 After logging in, you need to add a new Webphone extension in the Ozeki Phone System XE. On the Extensions column click on the 'Add' button on the top right-hand corner of this section (Figure 2). The 'Extensions' panel will appear. 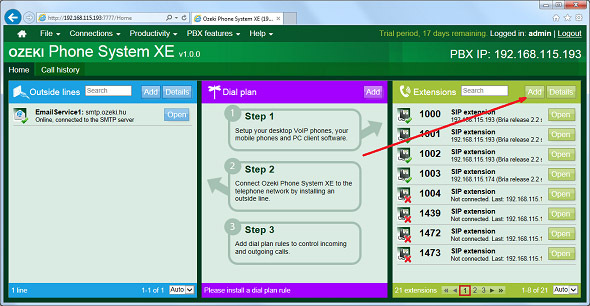 Here you need to look for the 'Webphone extension' in the 'Standard Extensions' column then click on the 'Install' button next to it (Figure ). Now the configuration panel of the Webphone extension can be seen. After entering a number, you need to provide a password for this extension, which is at least 8 consists of characters. Then, you need to choose the type of the extension. If you want to create your own webphone, you should choose the developer friendly version, but if you don't want to create a custom one, just pick the Webphone with keypad option. If you configured your webphone click on the 'OK' button (Figure 3). Now you are ready to test your webphone extension. Click on the green 'Test webphone' link on the left. And provide your webphone username and password. It will connect to your PBX, and you will be able to call other extensions. Click on the blue 'Generate HTML' link on the left side, to get your webphone source code. You need to insert this code, into your web page. If you created a developer friendly version, this code will be larger, but you will have more possibilities. Note, that your web page must be placed on a webserver in order to work.